The development of camera sensor technology is generally moving towards higher resolution thanks to smaller pixels – shrinking the pixel size means more of them can fit onto a given sensor surface area. Today, four to six megapixel sensors are common and, while the 5µm sensor pixels used in industrial applications are already small, sensors in commercial applications can have pixel sizes as tiny as 1.1µm. The more pixels that can be squeezed onto a sensor, the higher the information input, the better the resolution and the better the final image or measurement that can be made with the camera. Another way to get more pixels onto a sensor is to increase the overall size of the sensor. Most sensors used in machine vision are 2/3 inch or smaller and the lenses available are generally designed to match this size. But the customer-driven trend towards larger, higher resolution sensors is leading to what Nicholas James, imaging product line manager at Edmund Optics, calls a ‘renaissance’ of 1 inch sensors. Lenses are used to focus the image. Older lenses designed to work with smaller sensors do not work as well with the new 1 inch sensors – the additional third of an inch can cause the image to darken in the corners, or vignette. Features in the image also blur, resulting in lower quality images – the opposite of what the larger sensors aim to achieve. When pixel size goes down, the difficulty of making lenses goes up. Although shrinking pixel size provides a challenge for lens manufacturers, it’s important for optics to keep up with the improving resolution, said Konrad Hentschel, lens developer at Sill Optics. ‘The pixel size becoming smaller and smaller is a challenge; when pixels become smaller, the camera can resolve much finer details and optics must keep on track,’ he explained. One effect of improving lens resolution is larger optical elements. Higher resolution requires a lower f-number – the ratio of the focal length of the lens to the diameter of the entrance pupil – which provides a quantitative measure of lens speed. A lower f-number increases contrast and gives higher resolution. In addition, when making lenses for larger sensors, the distances have to be kept short so the field of view angles become very large. This is a problem for any optical system; the larger the angle, the more difficult it is to make the lens. Most lenses are usually best suited to a limited field of view – an angle of 3 to 4 degrees – but with increasing resolution, customers now require 25 to 40 degrees for field resolution. As well as leading to larger lenses, the drive towards higher resolution will also result in the need for more lenses. Designing a lens that can achieve a 14 megapixel resolution on a 2/3 inch sensor involves different challenges to designing a lens that can achieve 9 megapixels on a 1 inch sensor, explained Ecker. The former requires a design with a very high resolution over a small area, whereas the latter requires a slightly relaxed resolution specification over a larger area. Such differences in requirements lead to different design methodologies. As lens manufacturers adjust to higher resolutions, the market will need to keep up too. According to research by Markets and Markets, the optics component of the machine vision market is estimated to be worth $799.5 million in 2014 and around $905.1 million in 2015. Looking to the future, it’s expected to grow at a CAGR of 10 per cent during 2015 to 2020. Because of the increased complexity of the design and manufacturing processes of lenses, costs are increasing for the customer. There are physically more elements in a lens designed to meet the resolution needs of a larger sensor with a greater number of smaller pixels. This makes the lenses intrinsically more expensive. Added to this, because there is a relatively small demand for industrial products compared to the consumer market, there are no standard optics available. Commercial applications enjoy economies of scale: standard optics mean cost-efficient manufacturing and high quantity output. Although the machine vision market is smaller than that of consumer optics, the consumer market is having an influence on the technology applied in industry. The precision that results from higher resolution sensors and lenses is reflected in the precision required for their manufacture, adding further cost to the final products. Beyond tightening up existing manufacturing techniques, technological advances are accelerating from the lab to the factory, providing new approaches to resolving resolution problems. Light-field imaging, liquid lenses and metamaterials are tantalisingly close, and could dramatically change the way optics are produced for machine vision. Microlens arrays are also being improved, and according to new research, prohibitive costs could soon be a thing of the past. Dr Dan Xie and a team from Xiamen University of Technology and Fujian Province University in China have come up with a new method of fabricating a thermoplastic polymer refractive microlens array that could cut manufacturing costs significantly. Using contactless hot embossing technology, they made a series of high quality microarrays with a diameter of 150μm, a pitch of 185µm and the maximum sag up to 48.2µm. According to the researchers, the microlens is suitable for optical devices that need to be small, and the new fabrication technique could cut the cost of manufacturing. Another potential future lens technology for machine vision is the liquid lens, which has the potential to improve resolution without the need for mechanical parts for adjustment. Liquid lenses are formed by the meniscus of the liquid. By applying pressure to the droplet, the shape of the meniscus can be adjusted, therefore adjusting the focus of the lens. Dr Oh and colleagues from the Department of Mechanical Engineering, Myongji University, South Korea have developed a new liquid lens design for autofocus in miniature cameras. Applying an electric voltage to an electric coil that sits inside the electromagnetic system underneath the lens generates a magnetic field. This field activates a magnet made of neodymium on top of an elastic membrane in the liquid lens, adjusting its shape. In their study, the researchers showed that the sag height of the lens increased from -1mm to 0.8mm with a 50V voltage. 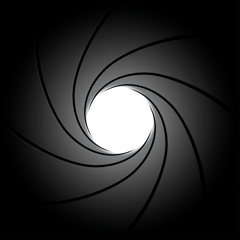 They showed that this made the lens change its focal plane to distinguish two objects at varying distances. 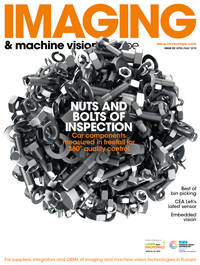 To receive the latest issue of Imaging and Machine Vision Europe, subscribe for free here.